If you are looking for the craziest and wildest fitness party for 2018, then Lifestyle Updated has the best suggestion for you. LES MILLS LIVE 2018 is bringing the latest fitness trends and the best music to every corner of the world. If you haven’t had the chance to experience this memorable event, you should definitely put it on your bucket list for this year. Especially if you live in Stockholm, Shanghai, Cyprus or Dubai. These are the destinations where LES MILLS LIVE 2018 is coming next! 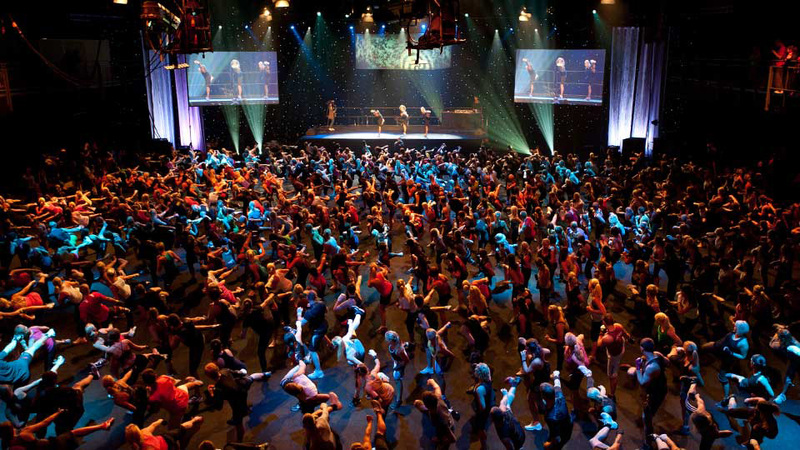 Is LES MILLS LIVE a good fit for you? Absolutely – especially if you are a fitness and party enthusiast. This event could be the one thing that was missing from your fitness agenda. Or, the perfect getaway from the daily monotonous routines, that will help you unwind and de-stress. Keep in mind though that the event is for adults only, so you need to be 16 years or above in order to attend. 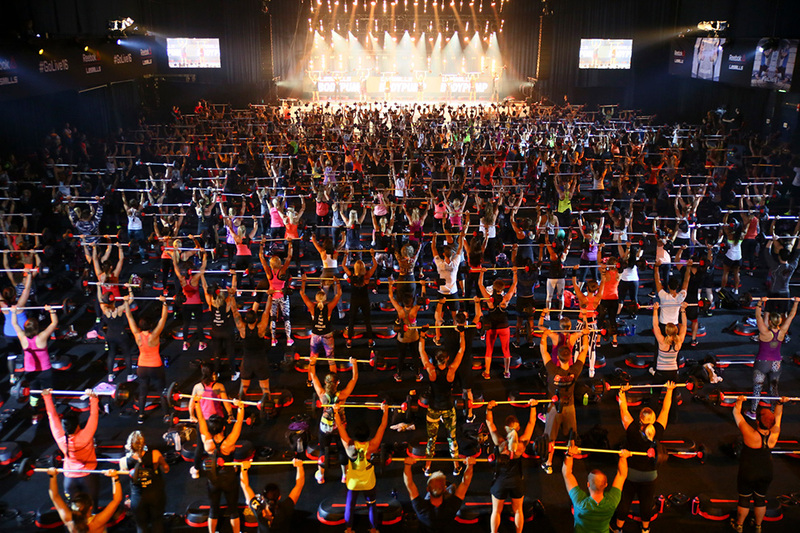 With many professionals and musicians, LES MILLS LIVE will test the limits of your body. That means you have to be prepared for an entire day of dynamic workouts and an entire night of partying if you want to completely enjoy the event. That being said, you don’t have to be a fitness pro in order to attend. All you have to do is know the limits of your body as to avoid injuries while having fun. Also, you can bring your crew and have the party of your lifetime, without the pain and suffering that comes after a standard music festival. LES MILLS is all about the connection between health and partying so no hangover is on the schedule! 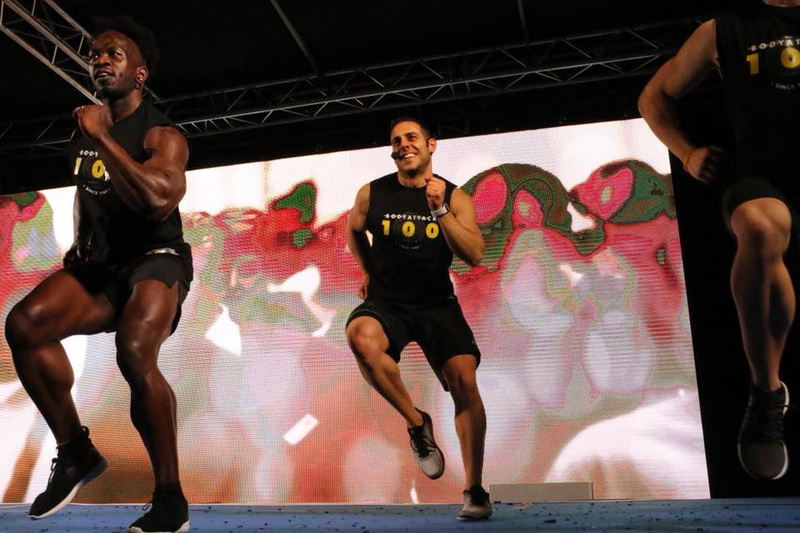 The next epic LES MILLS LIVE event will be in Stockholm, on September 8th! The location is at Ericsson Globen, Globentorget 2, 121 77 Stockholm. Like I already mentioned, all are welcome to sign up if they are 16 years old or above. The price for the ticket is 89€ and it provides access to all the classes you have previously booked. Since you are the one making your own schedule, be aware of the limits of your body and keep in mind that the goal of this fitness event is to activate and reenergize you. Also, keep in mind that the after party is of epic proportions, so don’t spend all of your strength on exercising – save some for the dancing session later. Food can also be added to your ticket for an additional 10€. You may choose between three menus – two regular and one vegetarian. If you don’t like your choices, don’t worry, there is a large mall in close vicinity of the event. Also, book your tickets only if you are 100% sure you’ll attend because the purchases are final and you won’t be able to get a refund. All you need to bring with you is a towel, clothes for changing and a reusable water bottle. LES MILLS LIVE will provide you with the equipment you need for all the classes you have chosen. With that in mind, you are allowed to bring your own mat if you are planning to attend BODYBALANCE/CXWORX. Another way you’d like to prepare is to dedicate at least one week on staying disciplined. This means eating healthy and balanced meals that are low on carbs, processed foods, and saturated fats. Losing some weight will definitely make a huge difference, so give yourself a weekly challenge and see how far you can push your body. We wrote a guide on how to lose 10 pounds in a week, but make sure to respect the limits of your body, and safe some energy for the event. Other than that, get enough sleep throughout the week, and make sure to work on your flexibility and balance, if nothing else. Some of the workouts, although they include a modifier, are really intense – you’d want, therefore, to be light on your feet, agile and somewhat coordinated in your movements. I’d recommend starting with a workout program that is bodyweight and holistic, so you can tackle every problem area and train your body with a series of compound exercises. My personal choice is Daily Burn. It is a fitness platform with a garden variety of workout programs that are suitable for every level of fitness. You can read the full Daily Burn review that we published last week, which goes in much detail, describing the platform and each separate program. They also offer a month-long trial as well. The best time for arriving is around 60 to 90 minutes before the event starting time, just to be on the safe. You wouldn’t want to miss a class. 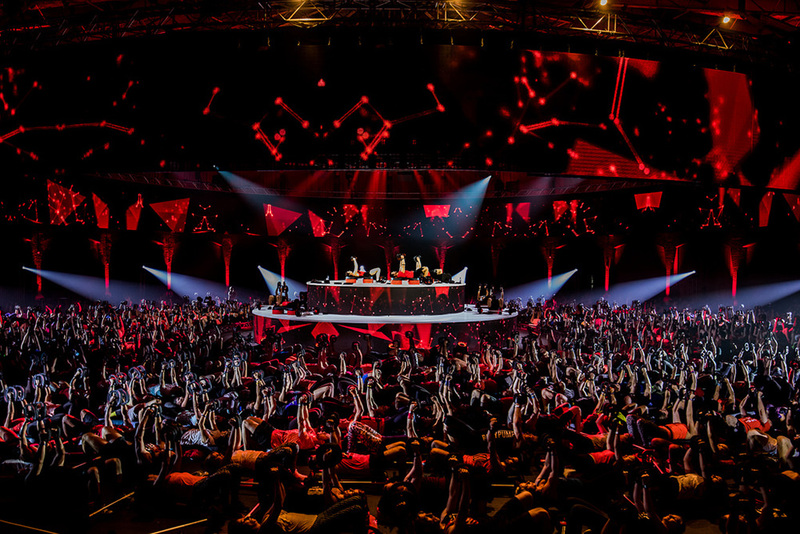 The entire Les Mills Nordic team will be there and they’d create an unforgettable atmosphere for you. 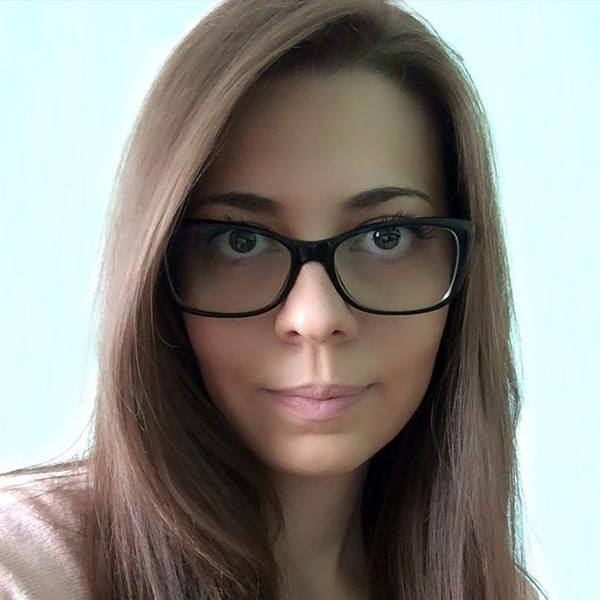 The team is made from the best of the best – their natural high energy and enthusiasm are so addictive, that you will be in love with th event months after it is over. The frontline is led by Rachael Newsham, the Les Mills Program Director. She was born in UK, but based in Auckland, New Zealand, from where she travels the entire world, trying to inspire and mentor fitness instructors from all the corners of the planet. Right next to her will be Ben Main, a Les Mills Ambassador. He was born and raised in New Zealand, where you can find him teaching, inspiring and coaching other instructors. You will also have the pleasure to work with Romain Prévédello, another Les Mills Ambassador who is based in Toulouse, France. Sandra Knudsen, Adam Gripenblom, Naja Mikkelsen, Andy Valencia, Anna-Karin Wikström, Arja, Pernilla Andersson Charlotte Carlén, Cristine Skogastierna, Olivia Lundkvist, Daniel Isaksson, Mikkel Hjort, Ditte Weinreich, Dorotka Baburin, Eleine Gustavsson, Elin Atlebond, Natalia Litwiniuk, Siim Kelner, Daniela Cirling, Edyta Dluga, Emelie Orosz, Pia Niemi, Mika Kankainen, Filip Kulstrunk, Hanna Lundh, Ida Sarström, Janni Lindgren, Justyna Szarawarska, Jarno Tynkkynen, Jim Berg, Jimmy Liew, Jonas Carlén, Pawel Jeziorek, Jorge Scott, Julia Pohjanen, Kira Tiivola, Kenneth Mose, Ragnhild Lien, Sander Johansen, Sandra Börjesson, Kersti Ojalill, Niklas Bohlin, Kimmo Jukkuri, Kristin Andersson, Lina Blomberg, Lise-Lotte, Lydia Johansson, Maria Carmen Øyhovden, Mariah Gustavsson, Marthe Havnås, Martin Krook, Mathilda Björck, Karin Björneloo, Michael Steenhower, Niko Viskari, Susanna Varsanpää, Marco Mazza Klemi, Stefan Cursursuz, Stelian Constantin, Sylvie Smrckova Milanova, Szymon Wesolowski, Theresa Elisasson, Tia Tynkkynen, Tor Andersen, Emmy Örn, Veronika Benesova, Petter Ehnrvall, Jessica Clarén and Norberto Lacourt. All of them were handpicked because of their amazing qualities and abilities to help you tone your body with unique and creative workouts, as well as for their spirit and addictive motivation that can help you continue exercising throughout the entire year to come. You are not in Stockholm and can’t make it there on September 8? No problem. LESS MILLS LIVE will continue in Shanghai on October 19 – 21, then in Cyprus on November 24 – 25 and finally in Dubai. The date for Dubai is not yet known, but will be updated soon. More destinations are added continuously, so make sure to occasionally check their official website for information. Have you ever had the opportunity to experience this amazing fitness festival? Share all your thoughts in the comment section below, so our readers can know exactly why they should book a ticket next time LES MILLS LIVE is in a city near them.